3.2% of the world’s population can be considered expatriates, but how much do we really know about this quarter billion? Aiding in our research, by completing our 3-part research programme, can get this significant population better understood. The Expat Survey is a comprehensive programme that covers every facet of expat life – health to politics, online spending habits to the media engagement which enables expats to stay in contact with ‘home’; and the news content they track around the world. ‘Here, we are concerned with the quality of expatriate life, not just quantifying its facts and figures. The data we collect is never passed on to third parties or government agencies. We are sponsored by a cross-section of business dedicated to expats, from Lebara to International Family Law Group; that don’t have direct access to The Expat Survey’s raw intelligence, but are able to significantly enhance their understanding of the expatriate customers that they serve by consulting with our insights team’ says Wood. 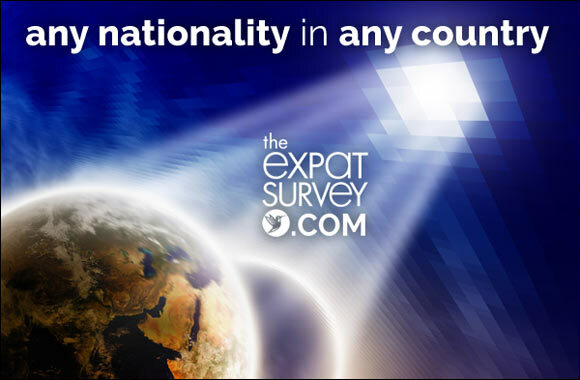 In completing The Expat Survey you have the chance of winning a £2000 cash prize! You also have the chance of improving the businesses that are providing services to you, shaping the expatriate experience by speaking collectively!